Ai Bei Kang Veterinary Clinic provides a one-stop service for small pets - including vaccinations, healthcare and grooming – and also has pets and various pet products for sale. Chongqing Peace Hospital – also known as 324 Hospital - is attached to Chongqing Military Region and is a large first-class general hospital that combines healthcare services, medical education and scientific research. 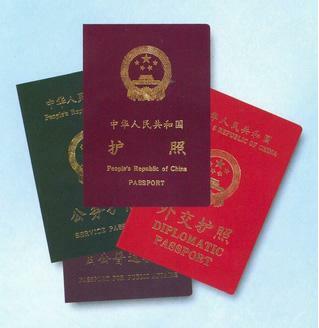 There are four categories of China visas: diplomatic visa, courtesy visa, service visa and ordinary visa.The tourist and family visit visa (L-visa) is issued to foreign nationals who come to China for the purpose of tourism, a family visit or other personal matters. A marriage in China between a foreigner and a Chinese citizen or between two foreigners is called a "foreign-related marriage". According to Article 147 of the General Principles of the Civil Law of the People's Republic of China, marriage of a Chinese citizen to a foreigner is bound by the law of the country where they marry. Therefore, partners contemplating a foreign-related marriage in China must follow the procedures stipulated by Chinese law. Registration of Foreign Adoptions in the People's Republic of China requires several steps.